As a result of the Western Australia State General Election held on Saturday, 11 March 2017, a new Labor Government was voted into power. 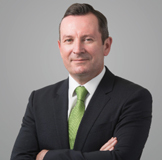 The Labor leader, Mark McGowan, will be sworn in as Premier of Western Australia on Friday 17 March. A day prior to his swearing in, Mr. McGowan announced the 17 ministers in his new State Government Cabinet. Among them is Ben Wyatt, who has made Australian political history with his announcement as the country’s first ever indigenous treasurer. He also confirmed Roger Cook as Deputy Premier as well as Minister for Health, and former federal MP Alannah MacTiernan, who has returned to state politics with an upper house seat, to serve as Minister for Regional Development; Agriculture and Food.